Phil McMahon opened up about the death of his brother to heroin in new documentary. There has been a big reaction to a new RTE documentary, The Hardest Hit. With many taking to social media and various publications to praise the program and share their opinions. 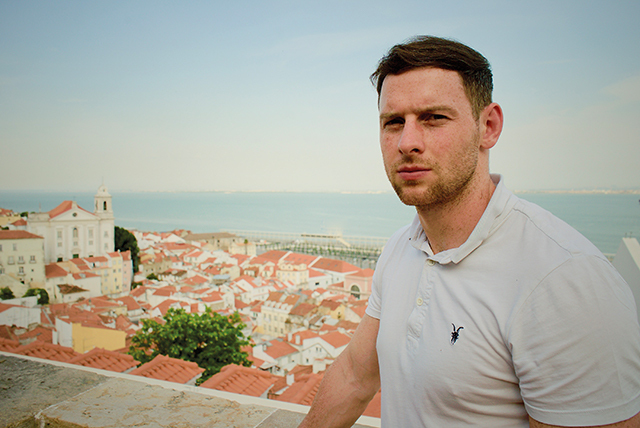 With one viewer saying “New level of respect for @PhillyMcMahon an exceptional piece of TV,”. The very personal documentary itself explores the nation’s drug culture and the causes and potential solutions to drug addiction. The documentary highlights Ireland’s inability to tackle a widespread issue that affects people from all backgrounds. Drug addiction doesn’t discriminate. The documentary was presented by Dublin GAA star and recent author Philip “Philly” McMahon. In the documentary, cameras are invited into Philip’s home where he discusses the horrid impact heroin addiction had on his older brother, John and the deteriorating cycle of addiction, as well as the work he does with Dublin’s Mountjoy Progressive Unit, where he trains prisoners and also gives half-time talks. Philip says his brother “never had a chance” after taking his first hit of heroin in a lift at the Ballymun towers at the age of 14. Before the documentary came to the screen, the six time all-Ireland winner had previously wrote a book with Niall Kelly titled “The Choice” where he described the story of his brother drifting away from him, because of his addiction and he also spoke about their relationship. John McMahon passed away at the age of 31. The book was also a tribute to the redemptive power of sport and an epic story in the face of adversity and of loss. It also documents the roles that compassion and resilience play in our lives. “I never got a chance to share any of it with John. I’d give all my All-Ireland wins to still have him here with me today.” The work of the drugs court in Dublin was also a segment, with Judge Anne Ryan leading the judicial response to the drug crisis. The entire programme was efficient in highlighting what has become a health crisis here in Ireland. Throughout there was avocation for certain drugs to be decriminalised, while McMahon discussed a variety of services that should be deployed in a massive effort to help deal with the problem. He also brought attention to the KCCP Reach Out Programme in Kilbarrack, where young adults are coached through strenuous football training and how it is of benefit to the teenagers that are enrolled in the programme. Upon watching the documentary, it was educational and informative on the matter and is well worth watching. There is a vivid scene in the programme in which we can see Philip’s parents discuss the relationship between John and Philly McMahon, and how GAA was an escape for Philly even though there was a drug crisis when he was growing up in Ballymun. According to the Health Research Board, 9,000 people are being treated for drug addiction every year. With nearly 63,000 people presented with drug abuse between 2010 and 2018. While those being treated for cocaine on the rise, there are changes in the types of drugs that are being reported.